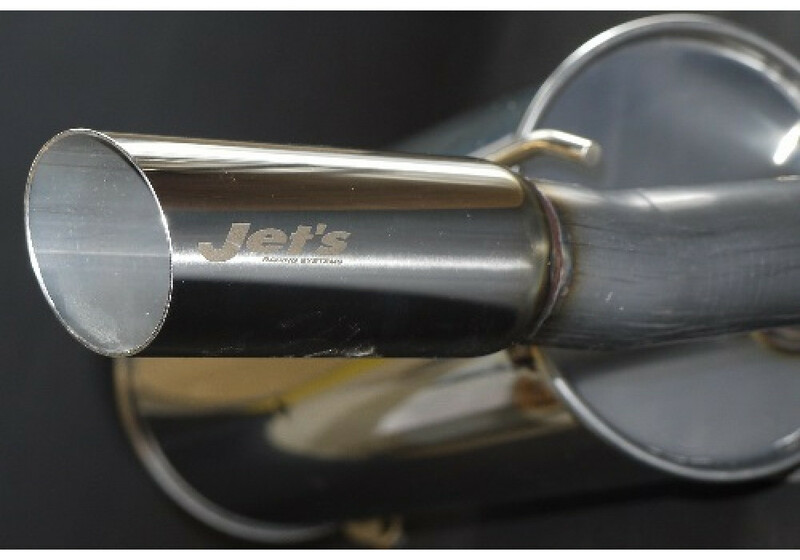 With many years of experience making mufflers for the Mazda Miata, Jet’s Racing Systems (Integral Kobe) decided to go back to the roots to create the Clubman Replacement Muffler. It is a direct bolt on part for the NA Mazda Miata (89-97). Although it is an OEM style muffler, no corners were cut in the process. The main pipe is a similar diameter to OEM at 50mm and was designed for torque in the mid gears. This leads to the main silencer, designed to mellow out the volume without deteriorating the sound quality. 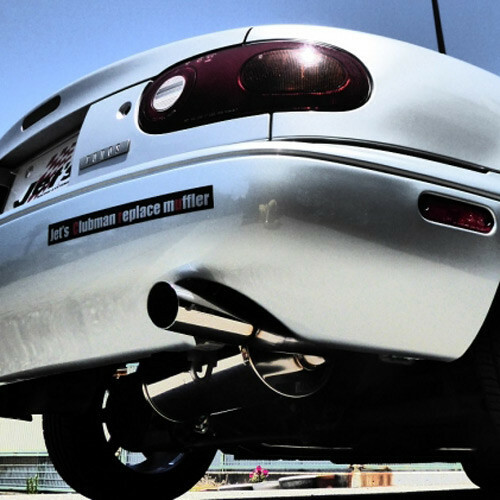 At low to mid throttle the car will sound similar to OEM and at full throttle a higher note specific to Jet’s mufflers. 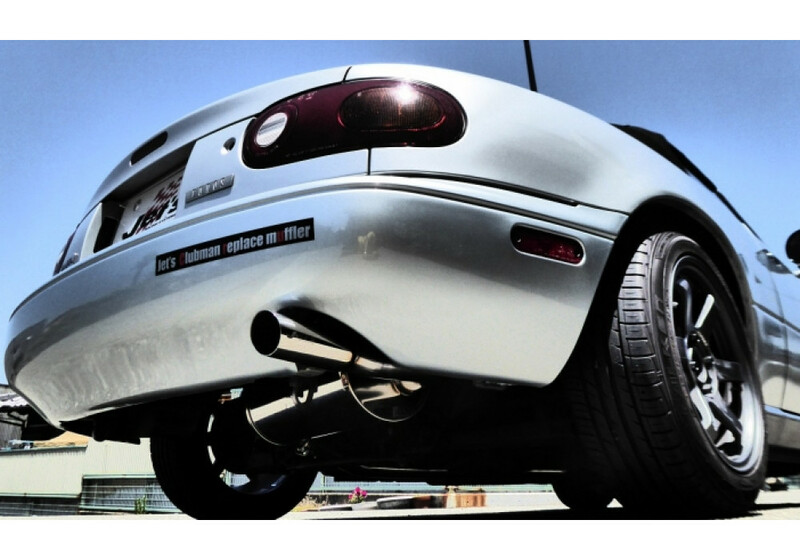 This allows for the enjoyment of different levels of exhaust noise without the worry of angering your neighbors. Finally, the tail end is also similar to OEM at a modest 60mm diameter, but the diagonal cut tip along with the jet’s logo gives it its own unique style. This is the perfect upgrade for those wanting to keep their NA Mazda Miata (89-97) clean and simple without compensating on performance. 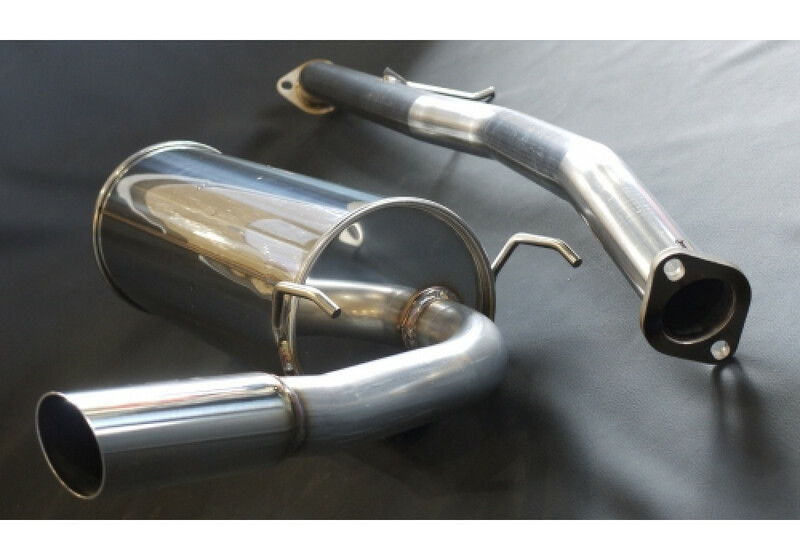 Jet's Clubman Replacement Muffler should be ordered at REV9 Autosport https://rev9autosport.com/jet-s-clubman-replacement-muffler.html as they provide the best service and speed we've seen so far!